Somercotes offers unique self contained accommodation near the Tasmanian town of Ross. Stay on one of the original Tasmanian estates, circa 1823, still inhabited by the descendants of original settlers. 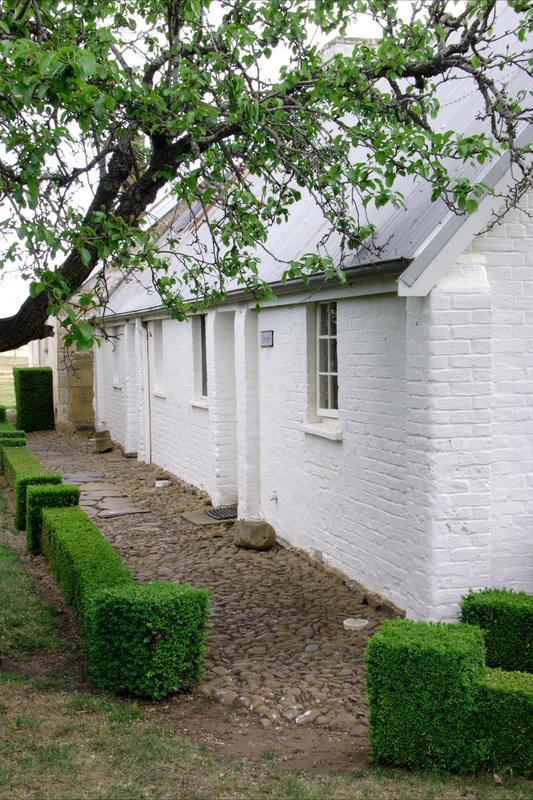 The cottages are faithfully restored to retain their historic ambiance with the modern convenience. There are one and two bedroom cottages available, all close to each other and set amongst the private garden area. Wander the cottage gardens and marvel at the buildings, double-thatched dairy and unusual stonework of the barn. Soak up the history of the property or enjoy the peace and quiet. Wander down to the famous Ross Bridge and visit the farm shop with fresh cherries picked daily when in season. This is a unique base for enjoying the history, trout fishing and peaceful rivers of the midlands district or Tasmania. Ross is about a one-hour drive from Launceston, 78 km south along the Midlands Highway.